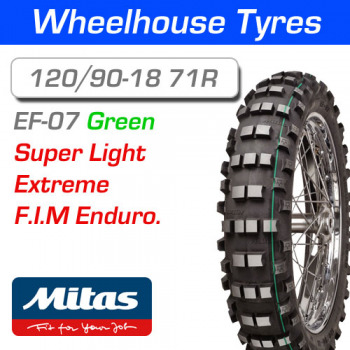 The EF-07 Super Light (Green) uses a specially designed tread compound and light weight casing for extreme Enduros. The lighter casing is designed is for use in the most extreme events like the Erzberg, the Romaniacs etc. The EF-07 excels in rocky conditions. 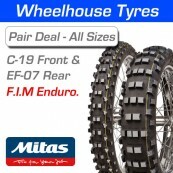 The Mitas EF-07 rear complies to F.I.M regulations and is road legal. The EF-07 Super (Yellow) is the most durable F.I.M rear tyre from Mitas for use on a wide variety of Enduros. Designed with special tread compound for Enduro racing, the EF-07 Super excels in mud & gravel. The EF-07 Super Soft (Double Green) uses a light weight casing and super soft (trails) tread compound for the most extreme Enduro tests. 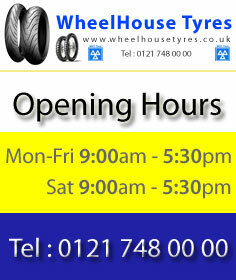 The Super Soft should only be used for the most extreme Enduro event it excels on wet rocks and rocky hill climbs.